Whether you are a start-up or a global corporation, chances are you are already using cloud services in one form or the other. From sending email online, listening to music, watching TV to editing documents and doing your banking transactions, you are using the cloud all the time. But, if you are looking at cloud based services Delhi NCR region for your business operations then you need to carefully consider what is on offer. Cloud based services Delhi NCR should only be selected on the basis of reliability and the expertise they offer. Internet has changed the way businesses are conducted these days. 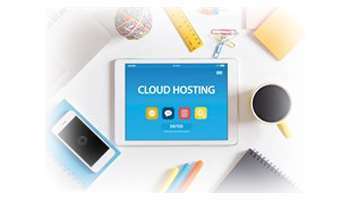 Be it hosting, application development, data storage or streamlining your business operations, cloud services can take care of all your needs. What you need is reliable cloud based services Delhi NCR. Welcome to the world of vStacks Infotech, we are a Noida based cloud services provider having sufficient experience and expertise to look after all your cloud computing needs. The main advantage for organisations moving to the cloud is the fact that they get stress free time to take their businesses to the next level, as the cloud service provider is responsible for all your IT concerns. From maintenance, support to security and backup, your cloud based services Delhi NCR provider will take care of everything related to IT. 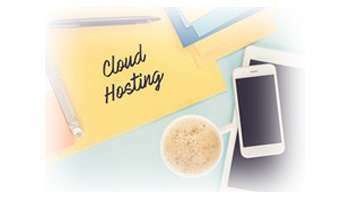 The common cloud offering of vStacks Infotech are software as a service or SaaS, platform as a service or PaaS and infrastructure as a service or IaaS. Depending on your need and requirement you can choose the services from vStacks Infotech at affordable prices. Software as a service or SaaS – A distribution model where we host all your applications and make it available to you over the internet. Platform as a service or PaaS – Without the headache of installation and downloads we deliver to you the operating systems along with other related services over the web. You save on all your IT infrastructure costs. Infrastructure as a service, or IaaS – We provide all that you need, from virtual machines, operating system and networks to storage, support and hardware, so that all your IT infrastructure requirements are met without you having to invest in costly machineries. But, when you hire a cloud based service provider for your organisation, one of your main concern should be the safety of your data. Your company data should remain safe at all costs, you cannot afford to lose it, nor would you want your secret info to be shared with unwanted people. You would find many cloud service providers if you do a Google search on cloud based services Delhi NCR. So, how do you go about selecting a service provider who would keep your data safe? Here is the experience and expertise of vStacks Infotech, which would convince you to move your business operations to the cloud without any security concern whatsoever. At vStacks Infotech we provide 64 bit encryption of your data, round the clock security and CCTV coverage of datacenters, so that all your information is safe. We also offer user and data level authentication to provide additional security to your data. Needless to say, we follow all the compliance regulations in order to keep our security standard a notch higher than others. And, with completely adaptive disaster recovery, we ensure that we deliver what we promise when it comes to securing your data. If you are in and around Noida just get in touch with vStacks Infotech for all your cloud computing needs.